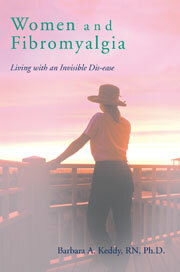 Anxiety is the root cause of fibromyalgia, particularly at an early age, or even in the womb. So, how is one to overcome the early stages of this deep seated emotional characteristic which those of us with fibromyalgia struggle with on a day to day basis? Even more significant: how do we explain to others that the challenges of life-long anxiety cannot be overcome with those who lack empathy or compassion who suggest we just get on with life and stop complaining? It would seem as though I begin each new blog with a series of questions that aren’t easily answered. It is fear that triggers the amygdala to release neurotransmitters. In turn the hypothalamus dumps adrenaline which causes the elevated heart rate, flushing, shallow breathing and other physiological symptoms. Fear and anxiety are two sides of the same coin. I can trace my early anxieties/ fear to anxious parenting, Catholic nuns who terrified me with thoughts of hell, a crisis of moving from a large city to a small town as an adolescent, a 17 year old who like others of the day, was used as a source of free labour in a diploma based nursing school, nursing in general, an early bad marriage, three C sections, a divorce, completing a PhD as a single parent, being stalked, remarriage with a blended family of five teenagers, caring for elderly parents, and finally a heart attack, followed by a hip replacement. Now, of course, aging has reared its challenging head. Each new crisis, no matter the seriousness, triggers the amygdala. One might look at this list and believe it is not as horrific as the life of those who suffer greater atrocities. Nonetheless, there are two kinds of people- those who thrive in acute stress situations and those who don’t. I am of the latter kind of persons, born as a highly sensitive person. This entry was posted in Fibromyalgia, hurricanes, hypervigilance, nuclear war, self- compassion on September 9, 2017 by Barbara Keddy.